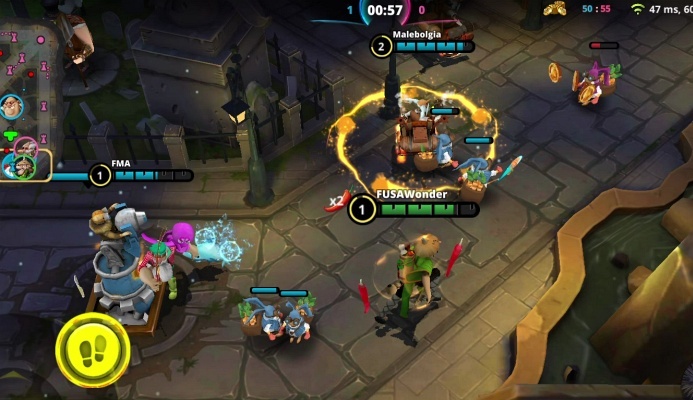 Join the weirdest everyday heroes in a new free-to-play 5v5 MOBA game that’s trespassing on hilarious . 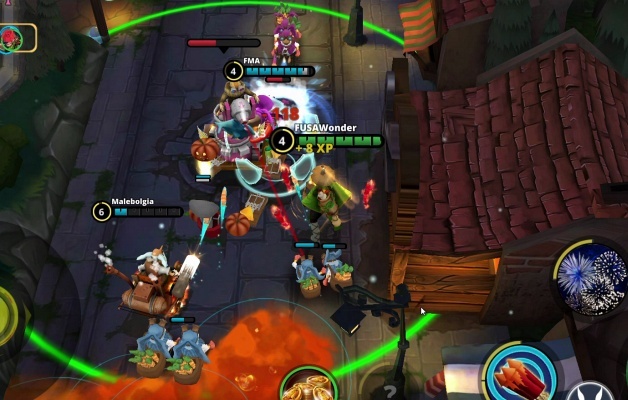 Dominate the fairytale town arena of this breathtaking mobile MOBA with amazing graphics ! 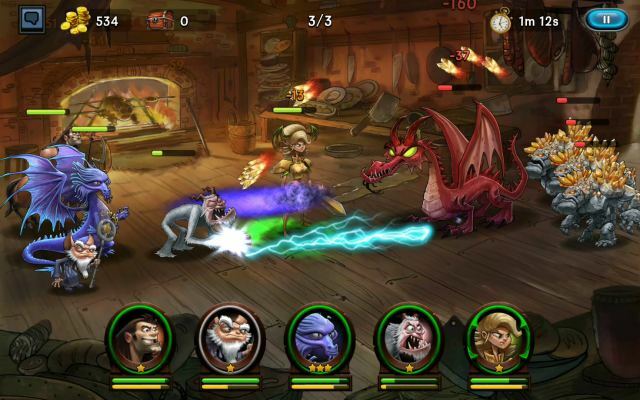 Fight together with your friends against real opponents from around the world in real-time 10-minute matches . 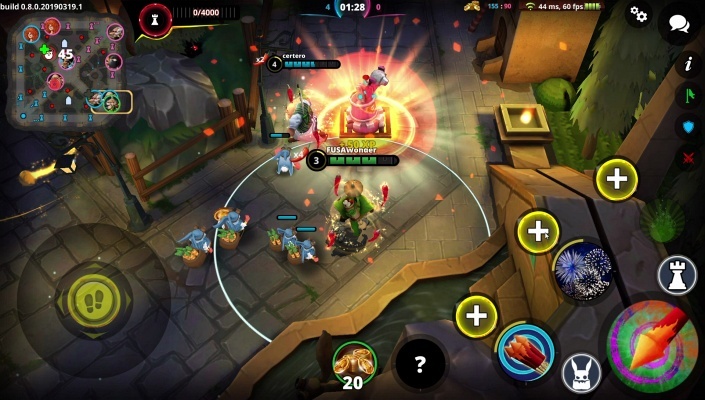 On top of the dynamic MOBA (multiplayer online battle arena) gameplay , Awakening of Heroes brings you more teamwork , new strategy , worthwhile jungling rewards and wacky power-ups . 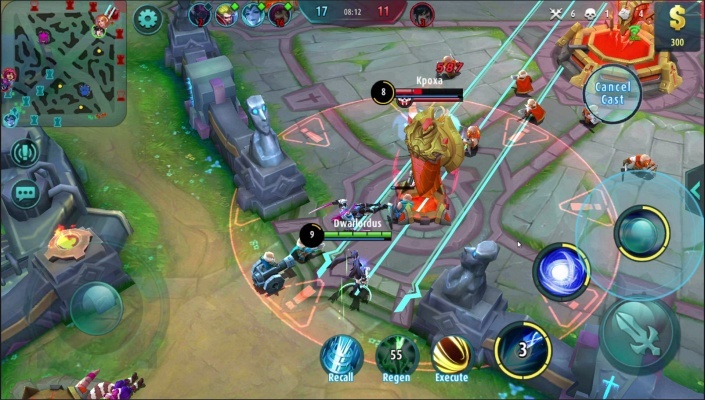 - A unique objective-based 5v5 MOBA - The gloves are off ! 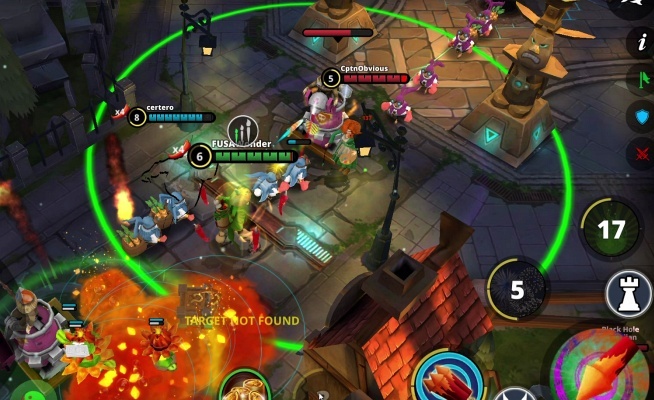 Experience the thrill of 10-minute PvP matches on a 3-lane MOBA map with astonishing graphics. 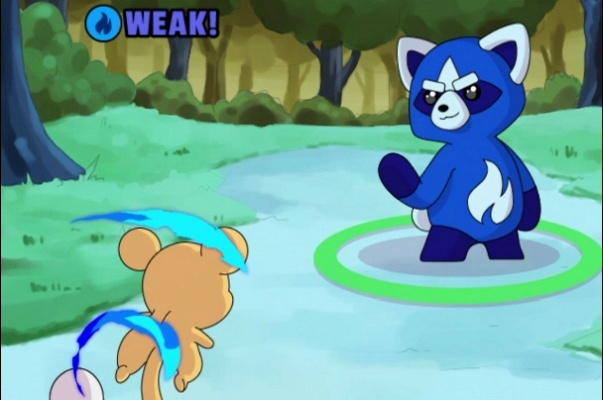 Defeat guardians (they are not your ordinary monsters!) 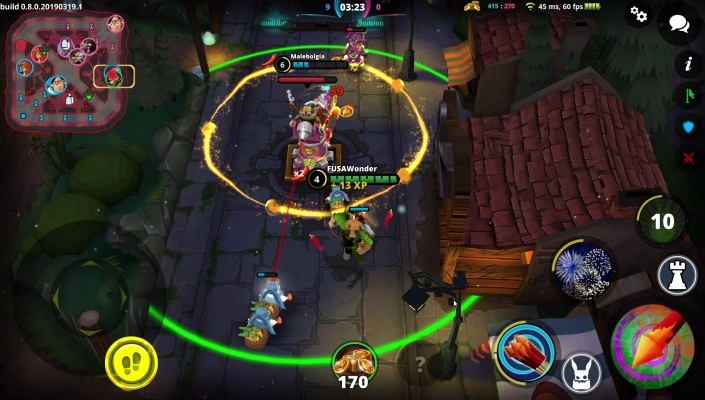 to get tangible rewards for the whole team and jump straight back into the mobile 5vs5 MOBA game battle with real opponents (not zombies). 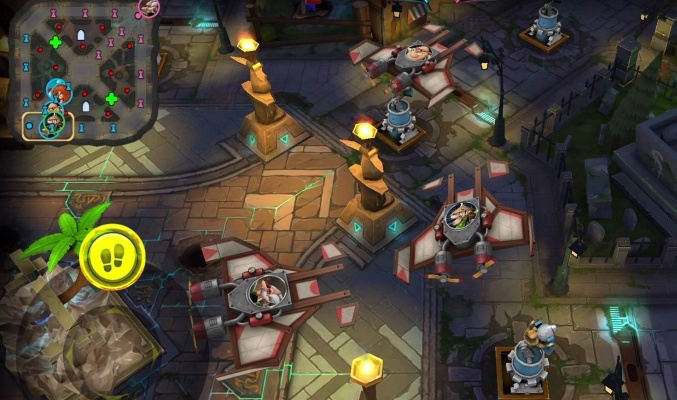 Destroy towers with the groundbreaking touchdown-with-a-bomb play . - The most dangerous heroes - Awaken the hero within! A police officer, a thief, and a chimney sweeper walk into a brawl. No, this is not a joke. There are heroes among us, as weird as they come. An angry bingo champion granny who bakes a killer cake. Boom! A warm-hearted math professor turned butcher skilled in close combat. Chop! A mime artist with a love of birds and an imaginary hammer. Bam ! A grumpy old-timer in his own invention - a speeding wheelchair equipped with lots of guns. Bang . - Gear upgrades and ranks climb - There are only two kinds of heroes: those who use their gear wisely and those who lose! 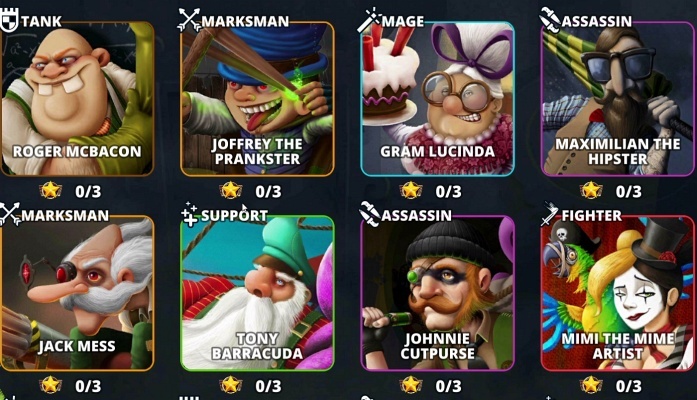 Collect and upgrade cards to reach new levels of your hero’s armor, speed, and damage. Put on a soda can ring (what?! ), it's as fatal as it's silly! Meanwhile, a chicken breast armor (what, what?!) will give you the best protection. Gather trophies to progress through 15 arenas as you climb to the world top league . 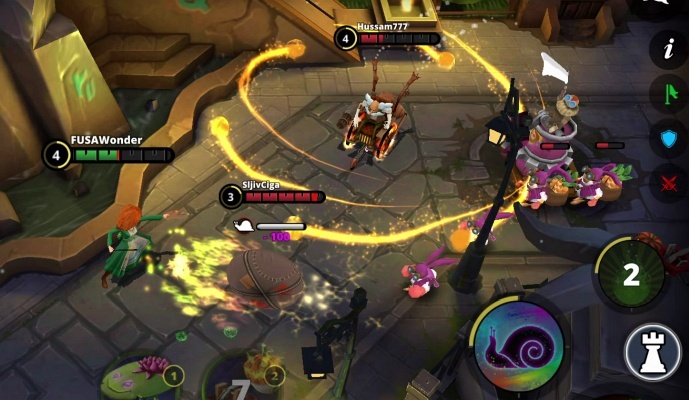 - Hilarious, but deadly power-ups - The thrill of battle royale, the fun of 5 vs 5 MOBA games! Find mystery boxes around the map or when a hero drops them and charge into battle. Use the power-ups to set mousetraps, become invisible or unleash a chicken bomber fleet . - Teamwork for the Win - One for all! 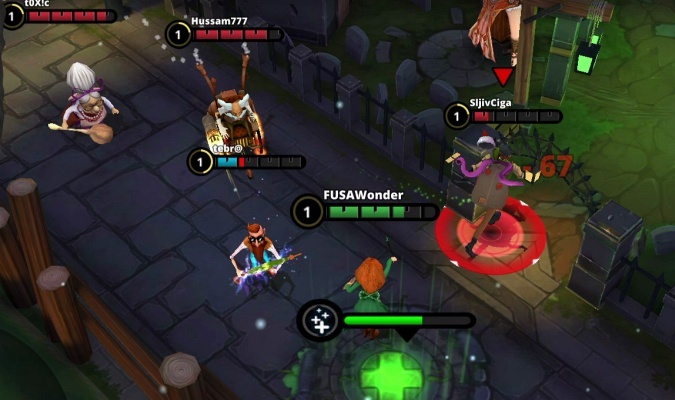 Work together, combine your skills to defeat enemies and become legends. Jungle and the rewards will be beneficial to the whole team. Protect your teammate as he moves slower under the weight of a tower-destroying bomb. Make a diversion so your teammate can go through the black hole (come again?!) and surprise the enemies by unleashing your minions in the enemy jungle . 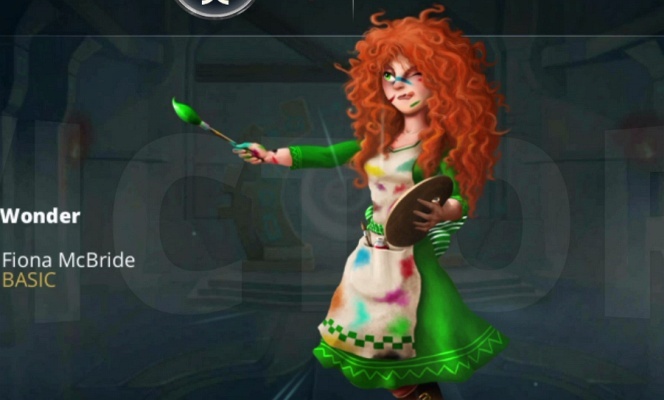 - MOBA evolved - Tower defense style ! 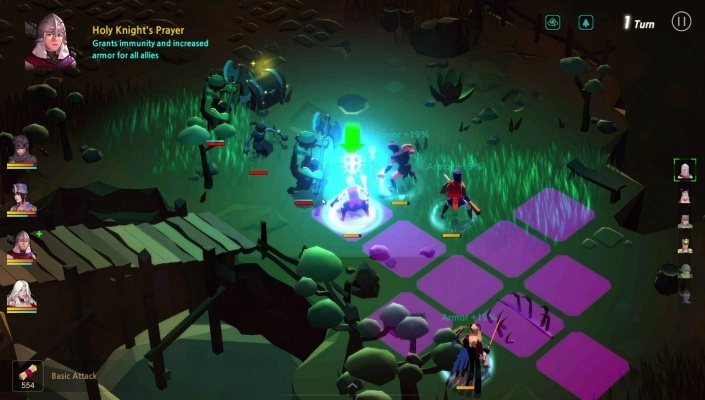 Earn gold by defeating enemies, buy weaponized plants and place them tactically . Each plant is specialized to shoot, heal, or serve as a trap or a decoy . Plant your way to victory and reach the stars .